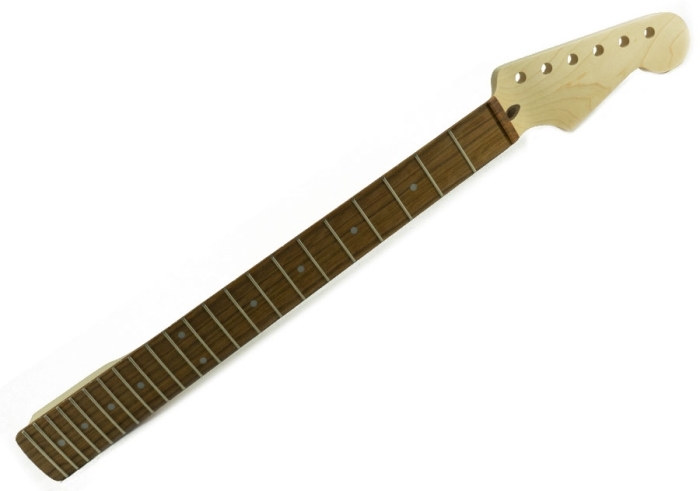 Replacement Strat® neck licensed by Fender®, 22 medium jumbo frets, 12 inch radius, 1 5/8 inch nut, clear satin finish. Double action truss rod. Maple fingerboard.